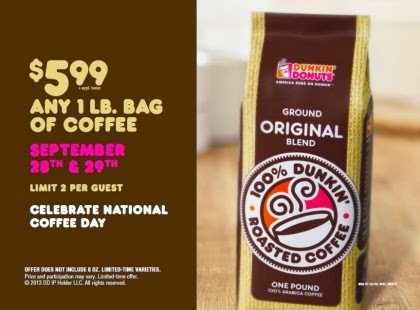 For National Coffee Day Dunkin' Donuts has a big opportunity for guests to bring home Dunkin' Donuts' 16-oz packaged coffee. This deal is valid at participating Dunkin' Donuts restaurants nationwide while supplies last. The deal will also be available online at the Dunkin' Donuts Online Shop (plus applicable tax and shipping costs). At time of checkout, use the coupon code 1BAG when purchasing one 16-oz bag of packaged coffee, if purchasing two 16-oz bags use the promo code 2BAG. 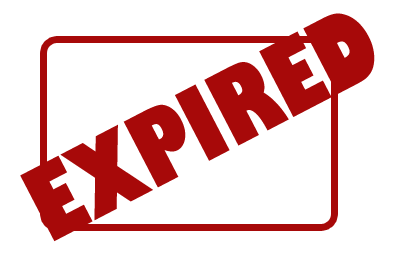 This offer is available in your favorite flavors such as Original Blend, Dunkin' Decaf, and French Vanilla. Get a free small coffee at Dunkin' Donuts on September 29!